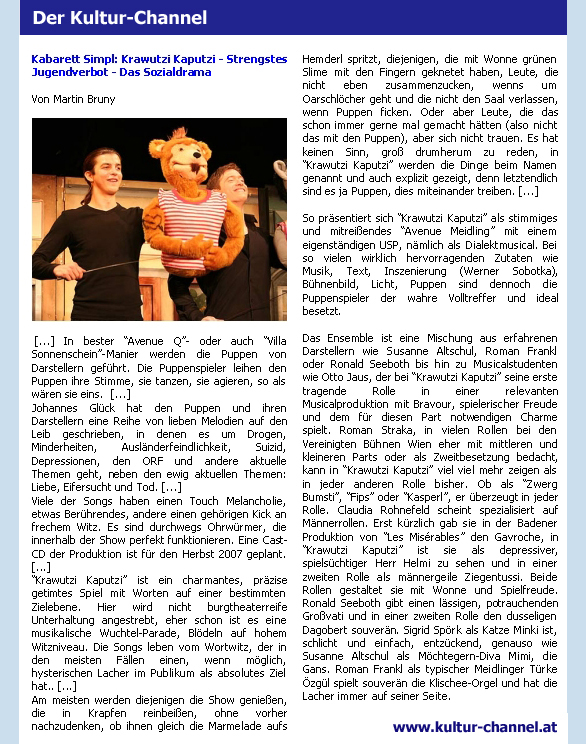 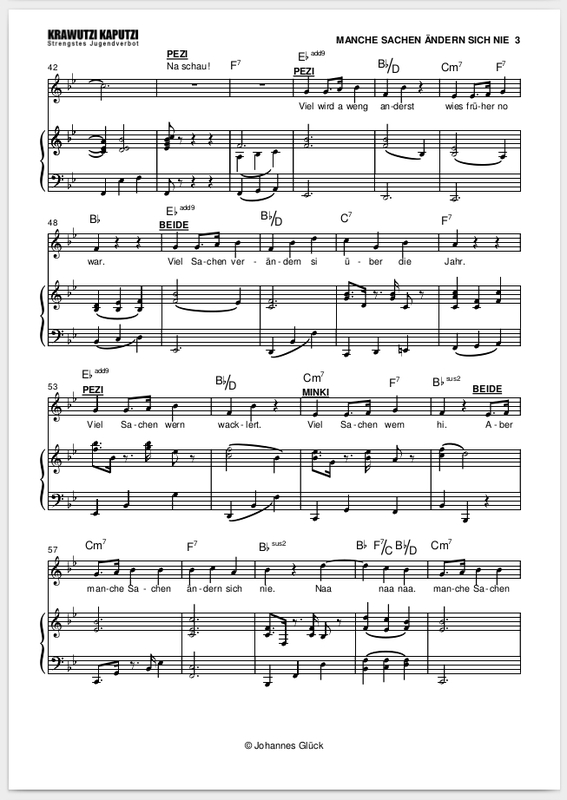 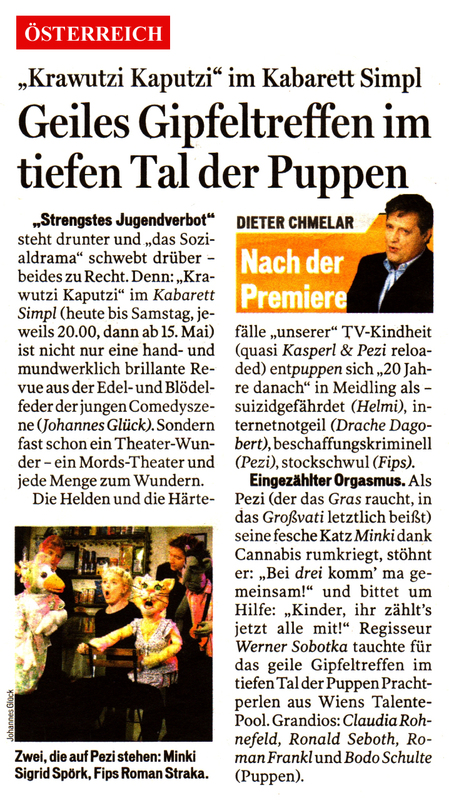 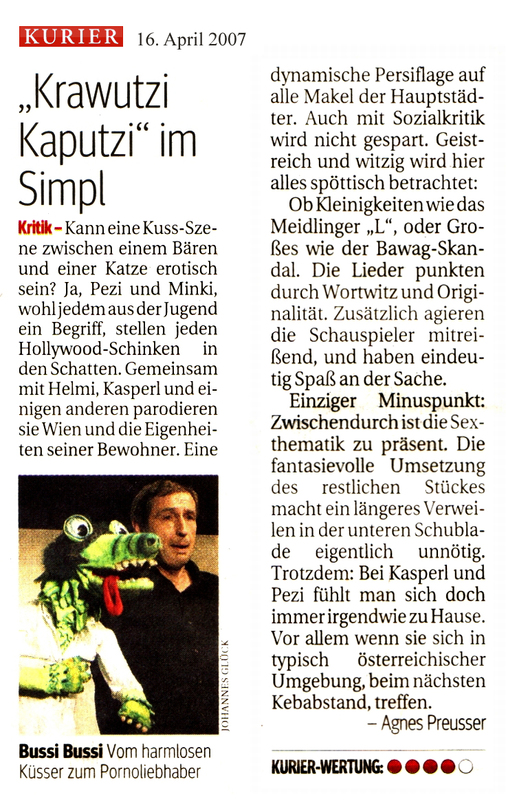 The Musical Comedy „Krawutzi Kaputzi!“ directed by Werner Sobotka and produced by Albert Schmidleitner premiered on April 13, 2007 at Kabarett Simpl, a 370 seat theatre in the centre of Vienna, Austria. 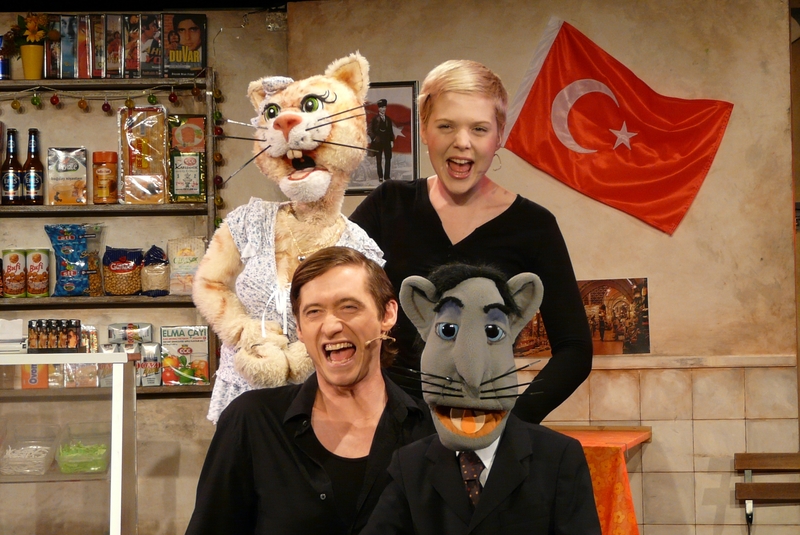 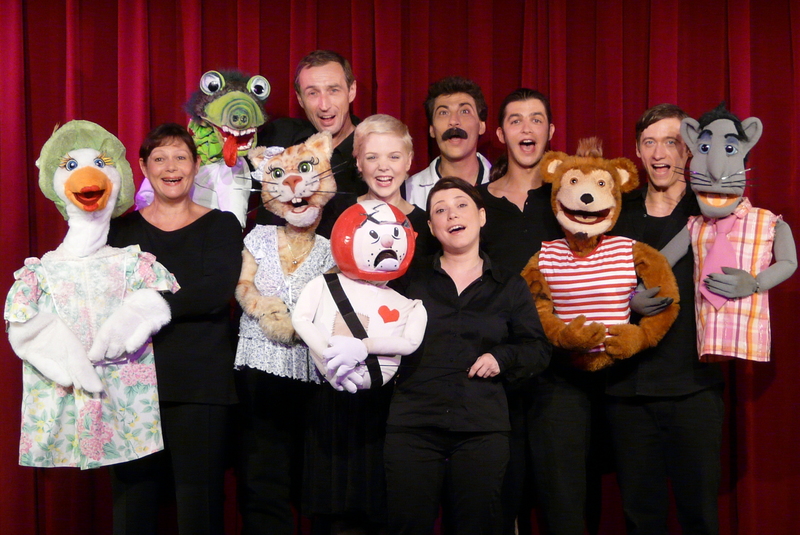 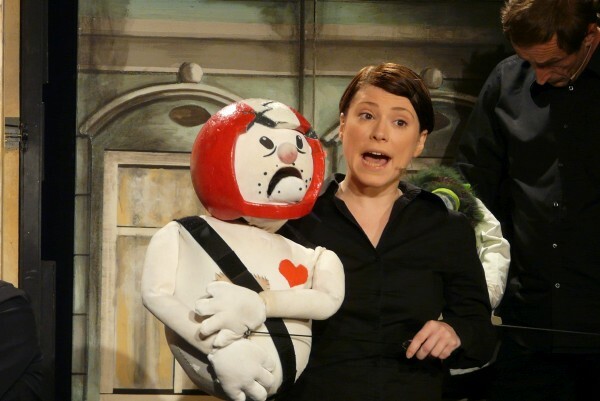 After 160 performances Kabarett Simpl became to small for the increasing popularity of “Krawutzi Kaputzi!”. 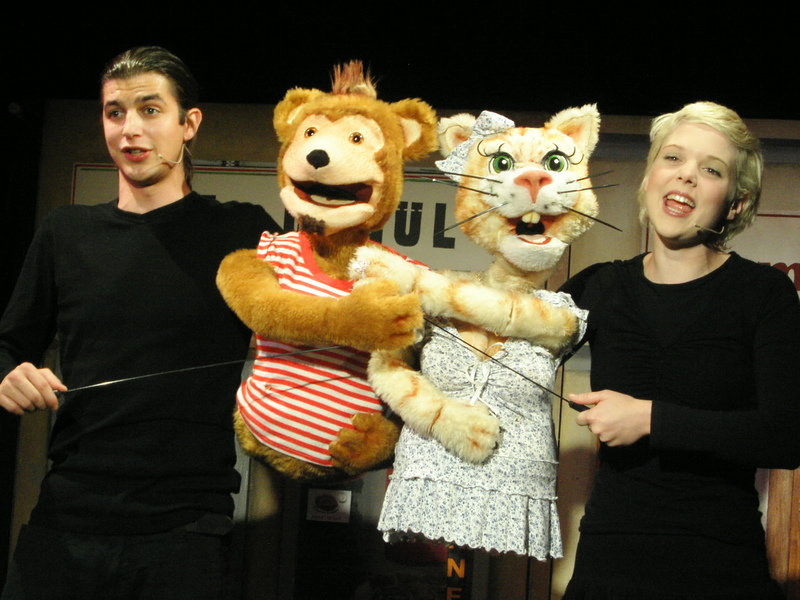 The producer had a 600 seat theatre tent built in Vienna-Simmering and moved the show to its new location (named “Palais Nowak”) in October 2008. 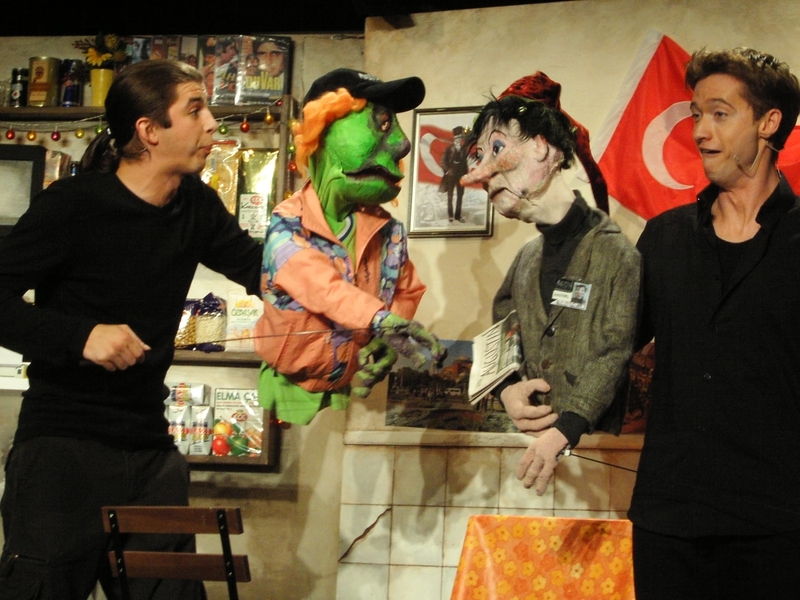 The show closed in June 2010 after more than 320 performances and over 100.000 tickets sold. 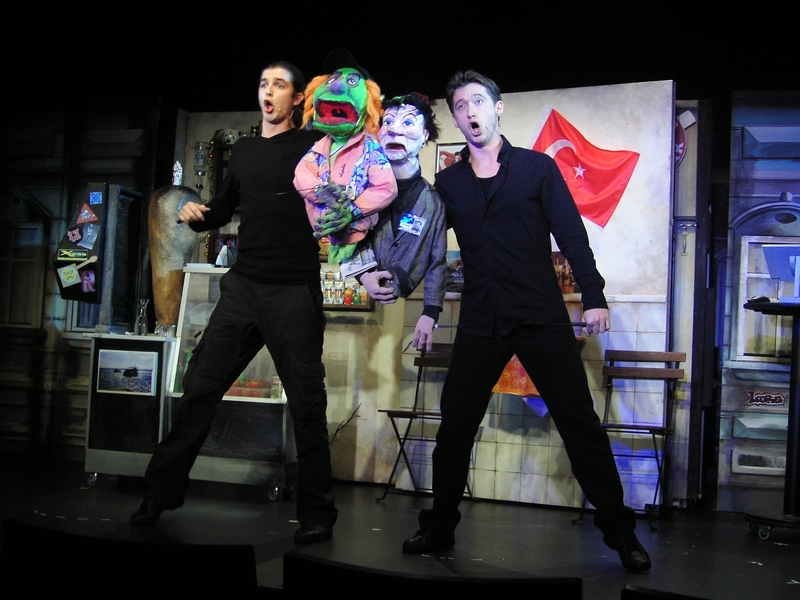 The Original Cast CD was recorded and released in 2007. 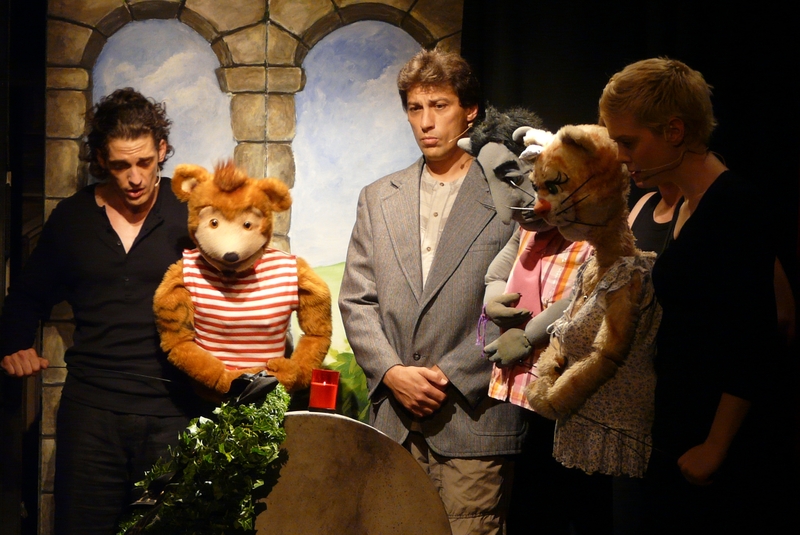 In 2008 the Austrian Broadcasting Company (ORF) co-produced a video recording of a performance at Palais Nowak. 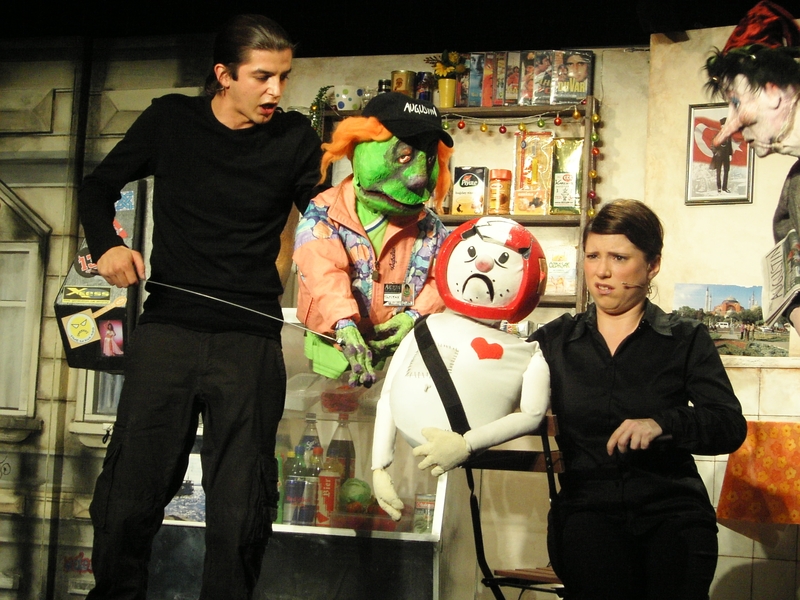 It was released on DVD, and in 2010 it was shown on national TV. 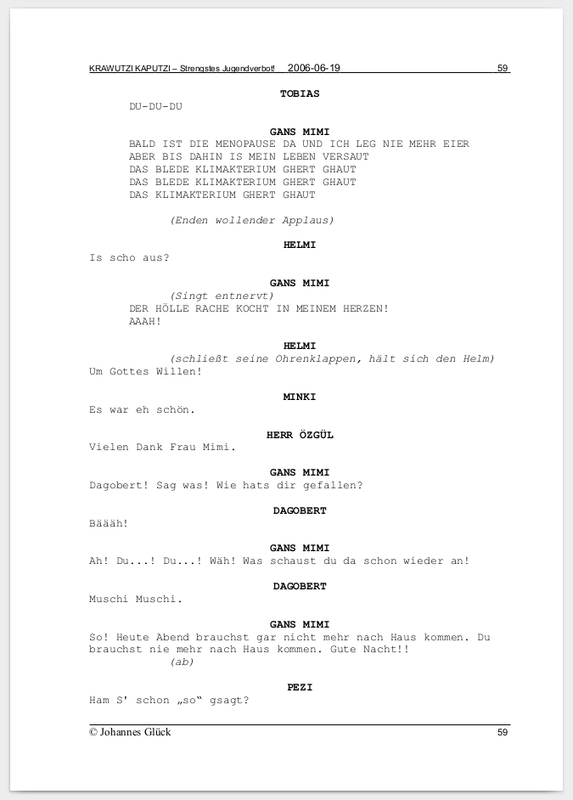 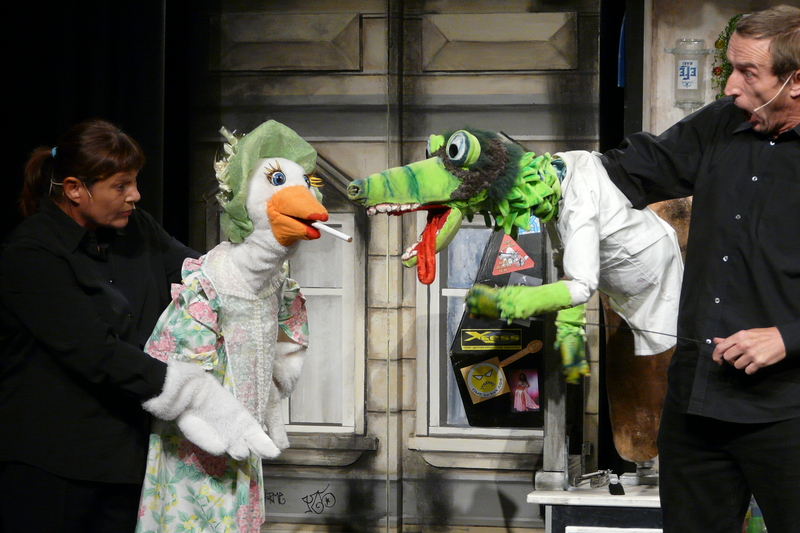 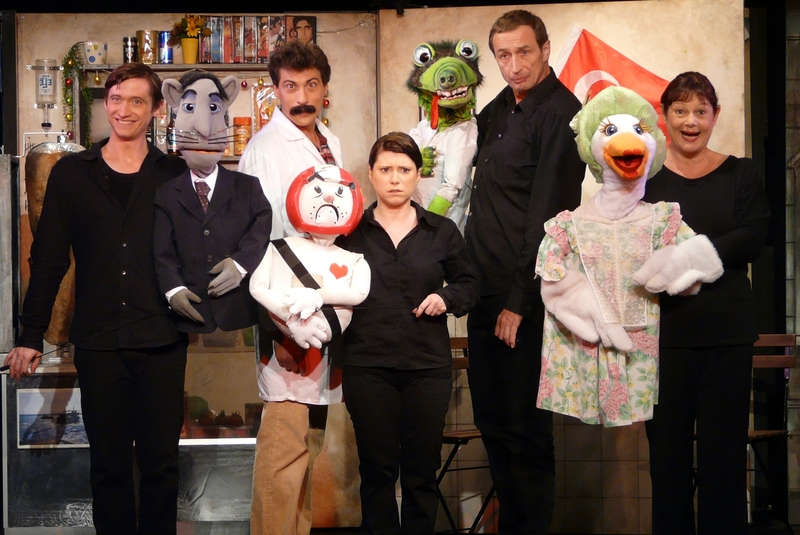 „Krawutzi Kaputzi!“ tells the stories of popular Austrian puppet characters from the 70s and 80s who have grown older and live in contemporary Vienna. 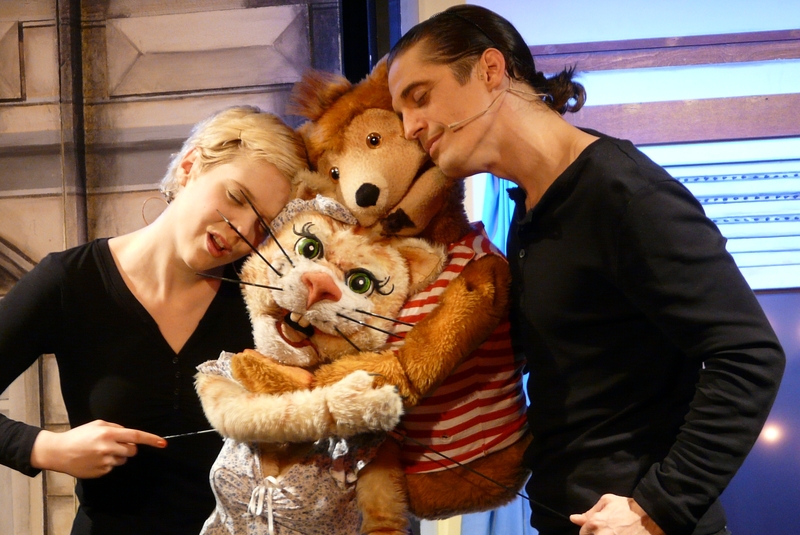 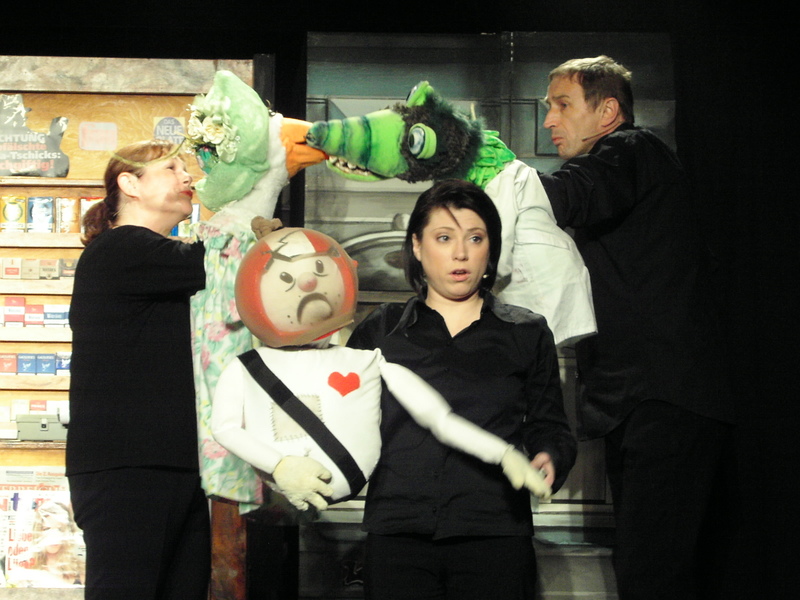 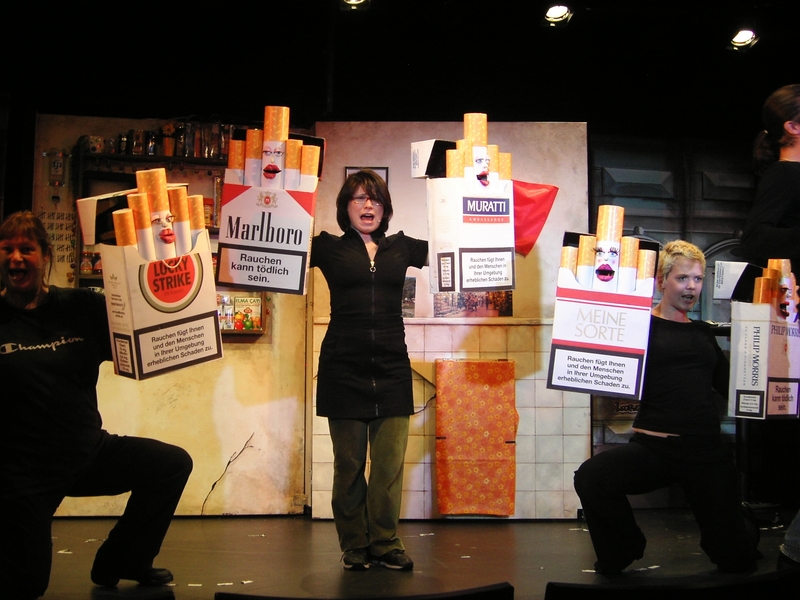 Inspired by the style of „Avenue Q“, the actors appear on stage together with their puppet characters.